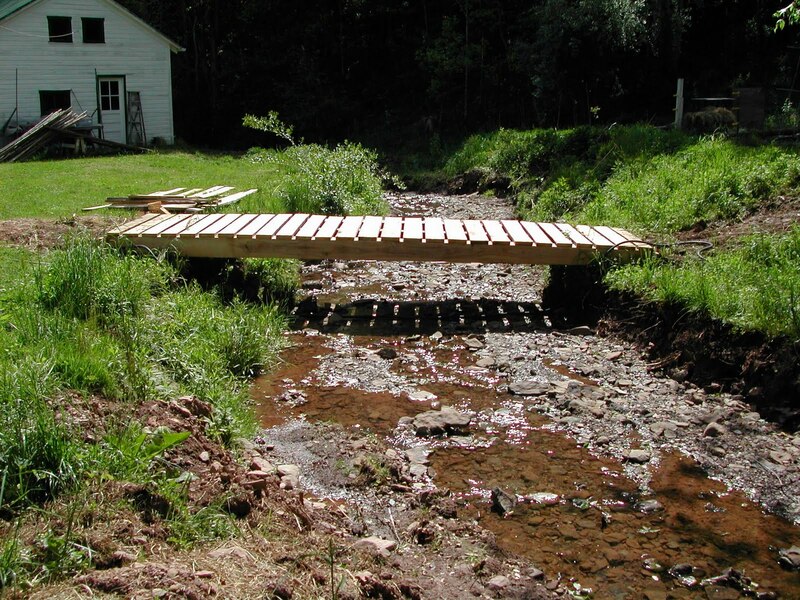 After the dredging of the run, the old bridge wasn't quite adequate to spam the run. IT was also, always a bit too narrow to drive the lawn mower across. Problem solved! 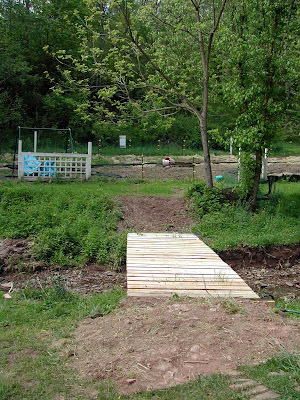 At 5 feet wide an supported by 8 X 8 inch trusses, you can hold a dance on the bridge, or cocktails in full view of the burn pit. Forgive us the mess, but we are working to clear up all the extraneous debris and howling winds are not cooperating this weekend. Not so windy, but cold and wet. I have a fire going in the fireplace. Now, Lucinda, what time in the fall are we to arrive to dance and drink on the bridge to somewhere?